2die4design – web design & fused glass art – where science & design meet – creatively! Let me help you design your website! Click below to see links to some of my work! 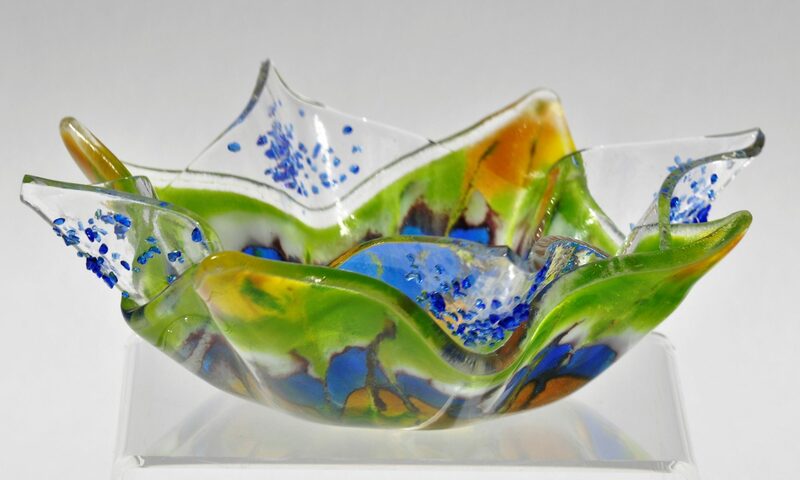 Web Design is an Art and Fused Glass is a Science. Beautiful Fused Glass creations. Pendants, Earrings and beautiful Glass sculptures! With a Bachelor of Science degree in Computer Science and a background of Computer Systems Design and Analysis, I use my creative side to assist people with web design projects and more. I also use those design skills and apply them to creating beautiful glass creations. I create glass art pieces,whether sculpture, crosses, wearable art (dichroic glass pendants, rings, earrings, etc.,) and more in my studio using a kiln where temperatures can range from 1250 to 1450 degrees to achieve the desired results whether slumping or full fusing. I am also an Art Clay Level One Certified Instructor/Artist and I include precious metal clay (sterling) in my designs as well as wire wrapping glass pieces I created using Argentium silver and copper wire. I also create glass beads using a torch, and incorporate them into various items. I am always finding new ways to use my fused glass creations so therefore my work is always evolving! Get in touch and I’ll get back to you as soon as I can. We look forward to hearing from you!